First, have kids make an inference about what they think each color of Mardi Gras stands for (green = faith, gold = power, and purple = justice). Next, have kids estimate how many beads they think are on the necklace. Who had the best guess? Geometry: Split students up into teams. 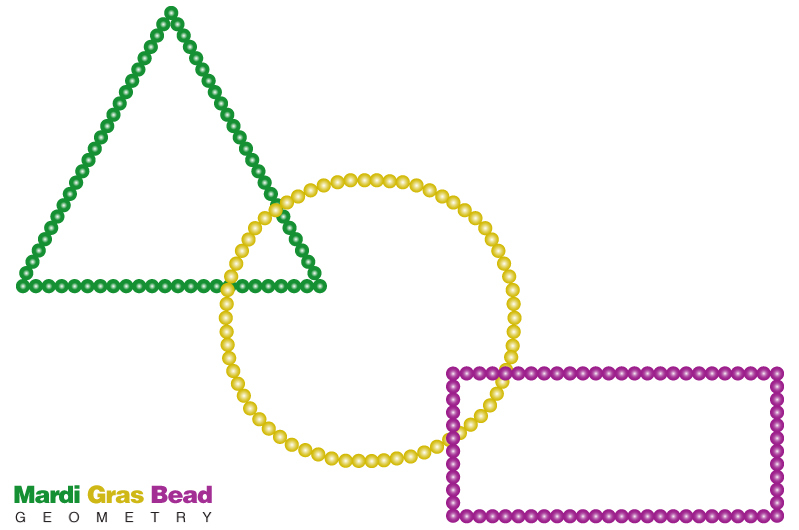 Have students make 3 shapes out of the necklaces (triangle, circle, and rectangle). Next, have them measure their shapes with a ruler. Then, have them figure out the area and perimeter (or circumference).